Most people would assume the USA has the highest rate of entrepreneurs, small businesses and start-ups, but surprisingly these numbers in the USA continue to fall over the last 40 years. Travel around the USA and you will find many of the “Mom and Pop” businesses are gone now, replaced by the likes of Subway, Starbucks, Home Depot and Walmart. When “Westerners” think of jobs in China, they might imagine someone making $2/hour in a factory making goods that will be exported. Forty years ago, Chinese people might have been concerned with life’s basic necessities (food, water, shelter) and often asked each other “Ni chi le ma?” or “Have you eaten?”, which now is used to ask “How are you?”, but at one time demonstrated real concern with a major difficulty of life in China. Today, China has emerged to be one of the most capitalistic countries in the world. The government does not have the same red tape and barriers to entry that exists in the USA, so if a person has the financing, skill and the drive, they can start their own business. Every day, more and more new businesses open up all around China. 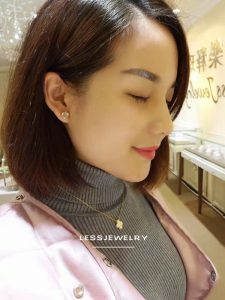 Tingting is a 28 year old Chinese woman who moved to Beijing from China’s poorest province of Guizhou to pursue her dream of being a successful entrepreneur and business woman who could eventually take care of her entire family financially. 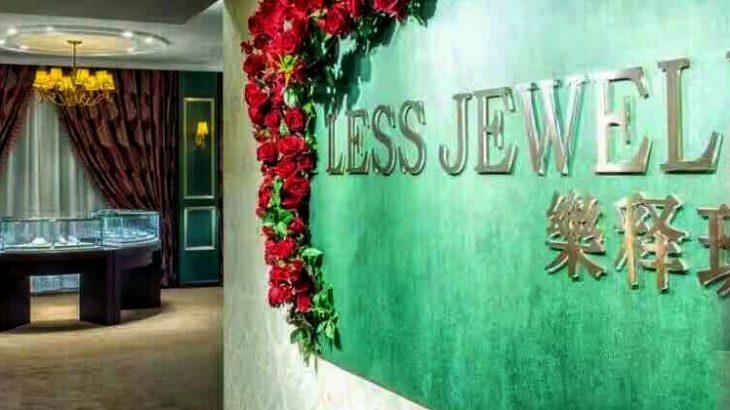 After graduating from college, Tingting tried to find a job that would allow her to pursue her dream, but after several years, several jobs and unable to find her calling, she partnered with her lifelong friend (Miaomiao) to create a new business they named “Less Jewelry”, the word “Less” was used because it sounds similar to Miaomiao’s Chinese name. China tends to emulate the USA as the “Gold Standard”, right or wrong, and often adopt many “western” customs. One “western” custom in particular has taken root around China today. Brides now expect to receive a diamond engagement ring and usually choose to wear a white wedding dress in addition to the traditional red dress. 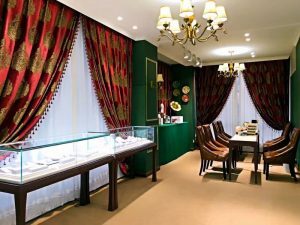 Their jewelry store focuses on utilizing Diamonds and Gold to make rings, necklaces, earrings and bracelets, but can accommodate custom requirements in other stones, finishes or precious metals. “We make jewelry with emotion. This is what young people are looking for now, something unique”, when asked about how they differentiate themselves from the competition. Their typical customer tends to be Women between 20 – 40 years of age. Customers can choose from a standard offering from big brand names or work with their designers and have a custom item made in as little as 2-3 weeks. Customers can even send in a photo of what they like. Customers send their finger size if they are in another city or country or come into the store. Selling online continues to grow in importance in China and people are very comfortable making purchases online, especially young people who tend to use their cell phones to buy everything online now. Even though most people prefer to initiate contact and complete all steps of the transaction remotely, Tingting has a physical (Brick and mortar) location for those who prefer to touch the product before purchasing. A startup is a firm less than one year old and Less Jewelry is only 6 months old. It’s normal for a new business to take some time to become profitable. The top challenge will be getting as many people as possible to know you exist and understanding what you can do for them. They rely on the Chinese phone app Wechat and a few Chinese websites to accomplish this working their “phones” every day to get their name in front of as many people as possible. Everyone has a phone and access to the internet. Tingting pointed out that while they use technology to their benefit, their focus is on servicing the customer because a good experience is going to generate good will and future business. “If you want to start your own business, you really need to make preparation in your mind, in your heart and inspect the market for the possibility of success of this business. Everyone wants to be successful, but before you start, you really need to think about it. Once you start, you need to pay 100% of your concern and your energy. You will meet many difficulties you can’t imagine. In business as in most things in life, there are two variables in life that typically play into things; Time and Money. If you have a lot of money, it can save you a lot of time, but if you don’t have a lot of money, then it requires your time. Tingting indicated that she does not waste her time or energy worrying about the challenges of running her own business. Instead, she will continue to get up and push every day and take baby steps, but is flexible enough to make adjustments and try something new when needed. Editor’s Note: I have known Tingting for 10 years and can vouch for the quality of her character. I would trust her completely to provide a great product at a great price. Character Spotlight - Original, Feature Slide, Original Feature. permalink.